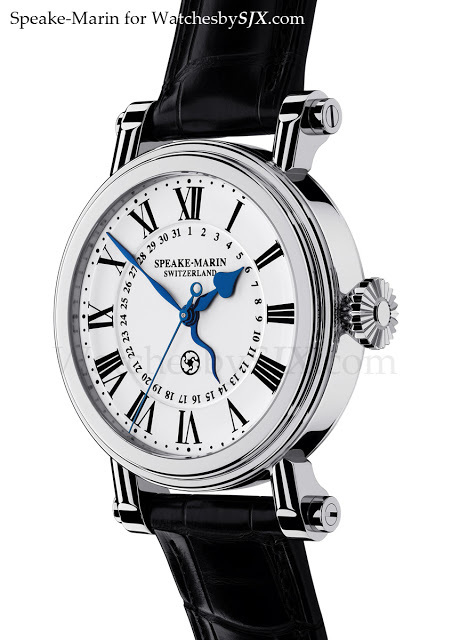 At Baselworld 2012, Peter Speake-Marin has just unveiled his third new model in as many months, following the Renaissance Tourbillon Repeater and the entry level, sporty Spirit Pioneer. The Serpent Calendar derives its name from the snake-shaped calendar hand, which along with all the other hands is blued steel. 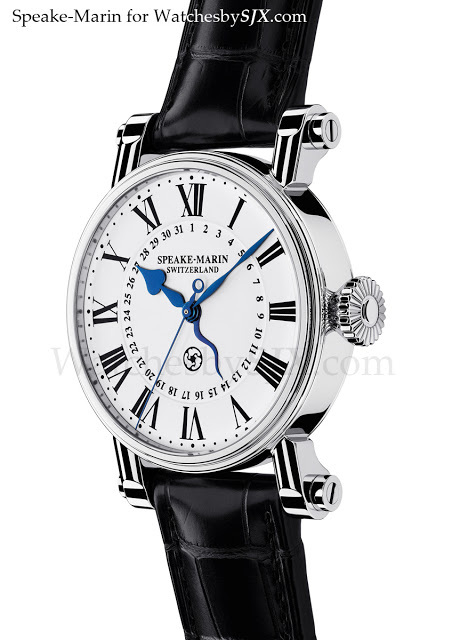 While classical in style, the watch is distinctively Speake-Marin with its recognisable Piccadilly case, and even more so with the serpent hand. Unlike the previous iteration of the successful Serpent Calendar in the Piccadilly line, this version is a slim 12 mm high, thanks to the new Eros 1 calibre as well as the multi-level, white lacquer dial (as opposed to fired enamel which is thicker). 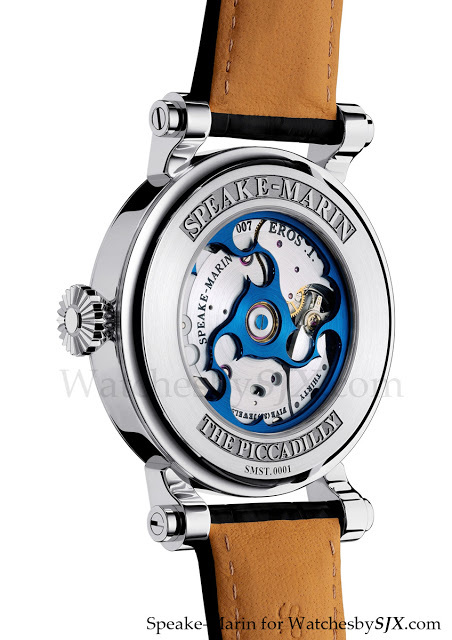 The Eros 1 is automatic with a blued steel rotor in Speak-Marin’s trademark topping tool shape. Additionally, the Eros 1 has a useful five day power reserve. Two diameters are available, 38 mm and 42 mm, in either steel or rose gold. I expect this to be an accessibly priced entry into the world of independent watchmaking that is both distinctive and well made; a good product.